Yesterday I made and named a Word document 'Noble Imposter0-05'. That's Precisely Terminated's sequel, version 5. Now each of the versions isn't a full draft, mind you. The first version might be the first ten chapters, and then I decide I want to drastically change chapter 3. This becomes a new version (02) and version 1 stays 10 chapters long. I run my versions and documents this way so that I don't lose any original work. I believe 03, 04, and 05 are the only complete drafts I have. 03 is the first full draft, 04 is the draft after it was edited by my first run editor and 05 is the second editor's turn. My second editor (third, if you count me, kind of confusing, isn't it?) prints out the document, marks it up, and gives the document back to me with all sorts of comments and such. All rather discouraging to the write but very necessary! So yesterday I started on her edits. Noble Imposter-05. I believe I'm to chapter 4 now. 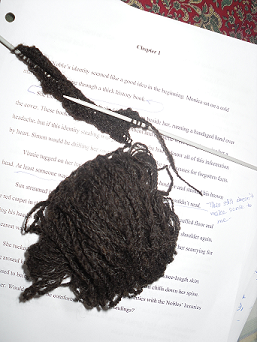 It's slow going because I happen to be knitting at the same time as I edit. I don't remember if I told you, but Noble Imposter is the title of Precisely Terminated's sequel, the second book in the Cantral Chronicles. I think I did, but it won't hurt to say it again! Round 1 of edits is done. Round 2 is almost done. Currently I smell like wood smoke because I was out at a church event for most of the evening and there were some fires because it's very cold. I've been spending the evenings spinning yarn on my spinning wheel and not much else other than that and editing. What I really need to do is get to work on some Christmas presents for my sisters! For those of you who have read Precisely Terminated, you should know that Monica has a necklace that she wears almost everywhere she goes. 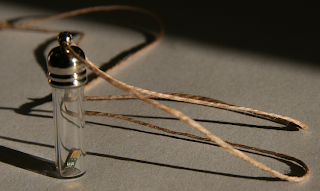 This necklace has a computer chip inside a glass vial. If she wants to eat, bathe, and move around freely, she must have this with her at all times. And now you can have one too! That's what blogging is- easy to forget to do. It's been six days since my last post. Of course, not much has happened since then. Just editing, house cleaning, editing, spinning yarn. I finished spinning a fleece that someone hired me to process. I ended up getting 6 1/2 skeins of yarn out of it. It's a very pretty pewter color. I should take pictures of the skeins before I hand them over. Also, I had to take my cat, Ferdi to the vet because she had something wrong with her neck. That's always disappointing, but she seems to be okay now. So it's back to writing. Only 9 chapters to go starting this morning! Noble Imposter is on it's way to being finished. Of course, after this stage of edits, I have a few more, but still, it's a start. That can really mess up a writing day. And big things, too, but those are usually more noticeable. Yesterday I had to help my mother get things done so she could take my grandfather to the Dr. for various tests. He lives with us now, so quite often my mom is driving him places. Then I tried to settle down to edit, but that always takes me awhile to get into the 'groove'. Totally my fault, but my mind tends to wander to other things. Like fluffy ducks. Or things of that nature. 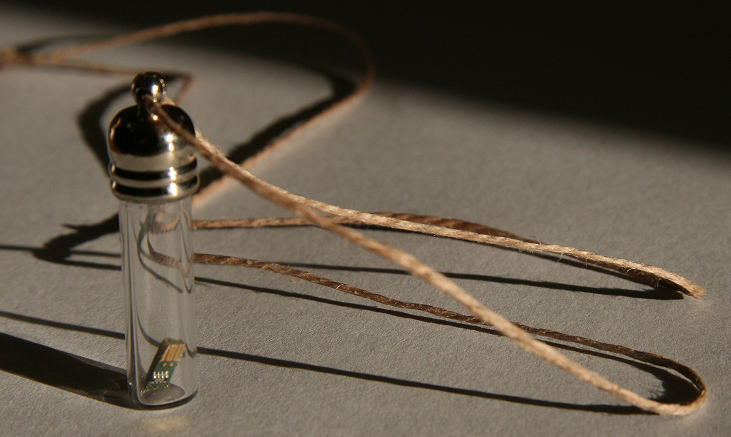 Another little thing that takes up time is this blog. But it's fun. So I shall continue. I ended up editing two chapters, despite a lot of my morning being taken up to make our daily juice. Vegetable juice is supposedly good for us, but I'm not quite sure, seeing as it's dark green, stains skin, and tastes vile. Yet, I keep drinking it. After my two 'chapters of the day' were done and edited, I sent them off to my second editor, the fabulous Ruth and went to spin some yarn of another sort. Currently, I have a fleece I'm supposed to be spinning into yarn for someone, but I'm very behind on it, thanks to the tour and editing Noble Imposter. Yesterday I got two skeins of yarn spun, so that's a good dent put into that fleece. I should be able to finish it in the next three days or so. Once that was done, I had to run to the post office, library, grocery store, and the auto shop so the van could have an oil change. When I say 'run', by the way, I don't mean literally. Today will be the same-ish. Helping my mom get ready to go somewhere (but with my sisters this time, she's taking them, not my grandfather), running errands, editing, and spinning. At least I have some spiffy socks to keep my feet warm. Amanda Davis is the award winning author of the Cantral Chronicles, a futuristic trilogy for teens.